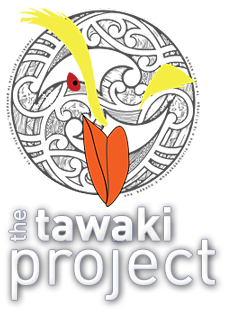 The Tawaki Project 2018 is underway! This time we kicked off fieldwork in Milford Sound. The fjord presented itself in all its mystical glory with mist clinging to its almost vertical mountain flanks. We came armed with four GPS dive loggers to put on female penguins. And as if a cruise through Milford Sound to reach your field site wasn’t enough, we were greeted by a pair of Whio or blue ducks, a rare but in this case encouraging sight. It’s a good indicator that stoats may be only a minor problem along the Harrison Rive. Good news for the penguins, for sure. The Harrison Cove bush greeted us with a surplus of green and moisture. The penguins were, for the most part, where we expected them to be, doing what we thought they were doing – incubating in their rock-sheltered nests. On all of the nests, male penguins were sitting on their progeny. This ranged from a couple of eggs all the way to a fairly chunky chicks that are a week or older. Around half of the birds were still on eggs, which ruled them out for our GPS logger deployment plans. A few females returned to their nests in the afternoon. Rather than overly disturbing them when they should feed their chicks, we decided to come back after dark when the families have settled down. And we managed to get two devices out… and get the first GLS loggers we deployed last season off two lucky females. The next day we continued our nest checks. We deployed time-lapse cameras on our logger nests and tried to get accurate GPS positons of our nests (we failed on that front, the forest is simply too thick. Shortly before the Discovery Centre closed shop, we headed back down to the beach and with the last cruise boat back to harbour. As nasty weather crept closer towards Milford Sound, we got cosy in the DOC house while patiently waiting for 354 days’ worth of GLS data to be downloaded from this season’s first loot. Pity that we had to bring two of our GPS dive loggers back. Well, there will be more females willing to cooperate when we return next week. Up next – Jackson Head and the West Coast. What a change of scenery from the West Coast. Last night Robin & Giselle indeed made it through Homer Tunnel without delay. So now I’m convinced that the road closure the night before was just put into place by a higher force to prolong Hotte and my already endless journey from the West Coast. Anyhoo, today we hopped on the 11am Southern Discoveries Milford Sound cruise which would take us to the Discovery Centre… which started with a sumptuous buffet lunch. Luckily we had one and a half hours to digest the food while cruised the entire length of Milford Sound. Never bad to start field work with a bit of relaxed tourist activities. Although our field outfits set us apart from the rest of the passengers on board. After a while, Andrea Faris, manager of the DC and the person who got us to work in Milford Sound, took us over to Harrison Cove in their new stabicraft style tender which goes by the name – tadaaa! – ‘little tawaki’. Even though this is the third season we work with penguins of Harrison Cove, the lush forest, the over saturation of green, still don’t fail to amaze me. This is the perfect representation of a rain forest. It also means that most tawaki nests are even more difficult to access than at the West Coast. The penguins breed in caves and rock crevices. Some of the nests are virtually inaccessible; only by shoving a 360° camera down a tiny hole we may get a chance to see those nests. We found 19 nests on day one, which is a new record in nest numbers. Last year at the end of the field work we had found 18. Not only that, more than half of the nests still have two chicks, all of a considerable size. With tawaki considered ‘obligate brood reducers’ that lose either one of their eggs or chicks, this is quite unusual. It certainly indicates that there is a lot of food out in the fiord. Oh, and we managed to deploy the first GPS dive logger. When I say ‘we’ I actually mean Robin and Giselle. The two will be manning the fjord for the next couple of weeks when Hotte and I head back to the West Coast the day after tomorrow. We emerged from the bush in the late afternoon. And after it had been drizzly when we jumped into the thick greenery, the weather had now cleared and the Harrison Cove scenery had changed considerably too. We were picked up by Jake from Southern Discoveries and returned to the DC. So, a good start for Fiordland. What an epic journey that was. Three days ago, on Saturday, we left Neils Beach to head down to Milford Sound. The timing was perfect. After almost an entire week of fantastic spring weather, the sky over the West Coast was grey and dull – and it rained. With the weather forecast for Milford Sound pretty crappy too for the next couple of days, the decision was made to do a little detour to Dunedin, spend a night at home and then carry on to Fiordland on Sunday. Sunday morning, we climbed back into Eric, are good old Land Cruiser and hit the road again. Destination: Milford Sound. In the afternoon we arrived in Te Anau, picked up the leys for the DOC house in the Milford settlement and grabbed something to eat before embarking on the last leg of our journey along the Milford road. It was windy as hell and the mountains across lake Te Anau were shrouded in thick clouds. Not far out of Te Anau the road sign informed us about the road condition to Milford Sound. Avalanche hazard along the Milford road! Road closed until tomorrow morning!! Great!!! So back to Te Anau we went, found ourselves a cheap Motel for the night and drowned our sorrow with far too expensive beer at the local pub. When we got up this morning, the road was still closed. But after breakfast we hit the road regardless. We ignored the still persisting message saying “Road Closed” and rolled northwards. Which was a good call because closer to the Homer tunnel another road sign now explained that the Milford Road was now open. We made ourselves at home in the DOC house. But it was too late to go out to Harrison Cove today. So we chill and await the arrival of Robin and Giselle. Well catch up with Andrea from Southern Discoveries tonight and start field work in Milford Sound once and for all tomorrow. Jeepers. It has been one of those days. The day started off not that dissimilar from yesterday and we only headed out to Jackson Head in the afternoon. It was another warn and sunny day out on the West Coast, but that did not prevent things from turning a bit southward. It started when I checked one of the stoat traps along the track to Jackson Head east. A root decided to have a wrestling contest with my foot and won, which send me flying forward banging my right knee on the only rock within a country mile of soft forest floor. It took me quite some time to regain my composure and continued my walk, if in a rather limpy manner. We found our second logger bird on the nest and we swiftly removed the device from the brave penguin. All good here. Then sunset. It got dark. I grabbed my torch that I have dangling around my neck whenever I’m in the field. Problem was… there was no torch dangling around my neck this time. Cripes. Well, what do I have a spare head torch for. Huh? The batteries in that one are empty. No worries, I got a whole box of spare batteries in my bag. Only… the box wasn’t there. It wasn’t anywhere and I likely lost it somewhere on the rocks when I grabbed penguin gear for logger recovery. So it’s dark, and I don’t have any light. So Hotte gives me his spare torch, which happens to be a real crappy handheld thing. And we have three more loggers to deploy. Yay. We get to the cave below the rock arena where our three logger candidate nests are located. But… none of the females were at home. To find that out, I had to climb on all fours into the cave through centuries of penguin poop. And I dropped the handheld torch which I had been carrying between my teeth. I tried to wipe it clean as best as I could but inevitably ended up with the taste of penguin poop in my mouth while we were attaching a GPS logger on a female tawaki from a neighbouring nest. We got a second device on a bird too. So, it wasn’t all bad. But my knee is swollen and throbbing, my box of spare batteries is lost forever, and I can’t get the taste of penguin poop out of my mouth no matter how often I brush my teeth. After a rather relaxed start to the day… no, let me rephrase that. After we did nothing other than house cleaning, office work, preparing our next GPS Loggers, and taking long naps until late afternoon, it was time to head out to Jackson Head to get our first GPS loggers back. And deploy the three new ones. The two penguins with trackers on their backs are both from the sub-colony we call Popi’s Plaza. What we had to do was sit on the shore and wait for them to come home. We try to recover devices before the penguin enter their breeding areas. On one hand they are easier to catch outside of the thick vegetation. On the other hand, we do not cause a stir within the breeding colony, freaking out penguins unrelated to our activities. The actual process of device recover follows an easy if somewhat unnerving pattern. We sit hidden behind some rocks and observe the foreshore. As the sun approaches the horizon, penguin start to pop out of the water and scramble over the rocks to their breeding colonies. But that makes it sound like as if the birds would show rather determined activity. They don’t. They would walk a few metres and then stop to have a look around or start to preen extensively. All the while we are straining our eyes to see if any of the birds carry the priced package. The problem is, they tend to show you their bellies. And it requires a lot of patience before you can finally catch a glimpse of their back side… and see that there is nothing. Often when a logger bird finally shows up, you only catch a glimpse of the device and the last moment. And then it gets hectic. Well, until 7pm we managed to recover one of our two devices. And we were damn lucky. The bird – or its partner – had really done a job on the logger. The tape we attached the device with was in tatters and was literally hanging on the penguin by a thread. Well, a feather. At any rate, it wouldn’t have taken the bird much to preen off the device and that would have been the end of that. But, as it is, we have our first logger back. With a spring tide rolling in around midnight, we had until 9pm to deploy three more loggers. So we made our way through the darkness and thick vegetation to an area we call the rock arena. Here several of the breeding females were feeding their chicks. Once they had finished their job three of them volunteered to carry GPS diver loggers for a few days. It took us an hour and a half to deliver our pay load so that we had to hurry up to get back out before the tide rolling in cut us off from home. Because of that, we could not have a look for the second logger bird at Popi’s Plaza. We will have to get here tomorrow. When we will also try to deploy three more devices before we finally head over to Milford Sound on Saturday. The day started with quite a bit of drama. While we were having breakfast a loud bang shook Neils Beach. Next thing we knew there were flames billowing from the airfield no more than 200m from the house we’re staying in. It turned out that the heli-shed of Greenstone Helicopters went up in flames. Greenstone have helped out the tawaki project from the beginning and it was sad to hear that the helicopter that was destroyed was the one that got us to and from Gorger River last November. Luckily, no one was hurt, but the heli shed and the adjacent packing facility of Barnbay Fishing burned to the ground in less than half an hour. Hopefully nothing was lost that isn’t covered by insurance. In the afternoon, we did another round through the tawaki breeding areas to check on our monitored nests. Sadly, we lost another four nests. Again there were signs of predation… or at least scavenging. Judging from the messy job that was done on two chicks from one nest, I would say that a possum had a go at these unfortunate birds. But… question is whether the possum actually killed them. Hopefully, trail cameras operated by the West Coast Penguin Trust can shed some light on this mystery. The remaining nests, however, look all pretty good. In one nest there we found two big chicks, a rather unusual sight for any crested penguin as they usually lose one of their two chicks a few days after hatching. It probably is a sign for good foraging conditions at sea this year. When we headed back out, we spotted one of our logger birds returning home. The device will come off tomorrow. And, finally, to round of this day of tragedy, my camera played up so that some really stunning video footage and photos recorded today are lost. Well, compared to what we witnessed this morning, I probably should not complain.